There are two things in this world that make my life easier. The first is freezer meals and the second is crock pot recipes. This Freezer Meals: Garlic Lime Chicken Salsa Soup is one of those recipes that do double duty and makes it so easy to get dinner on the table. Now if you don’t happen to have a crock pot why don’t you?!!! 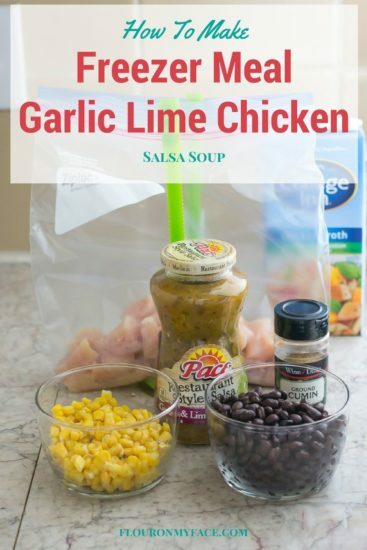 You can still enjoy this Freezer Meals: Garlic Lime Chicken Salsa Soup because I have included both stove top directions and crock pot directions for this Garlic Lime Chicken Salsa Soup recipe. Place all the ingredients except the rice into a gallon freezer bag. Thaw bag in refrigerator over night. Pour ingredients into a large pot. Reduce heat and simmer about an hour or until the chicken is cooked through. Once chicken is cooked add rice to pot. Return to a boil. Reduce heat and simmer until rice is tender, about 20 minutes. To cook in crock pot see my Crock Pot Garlic Lime Chicken Salsa Soup recipe. 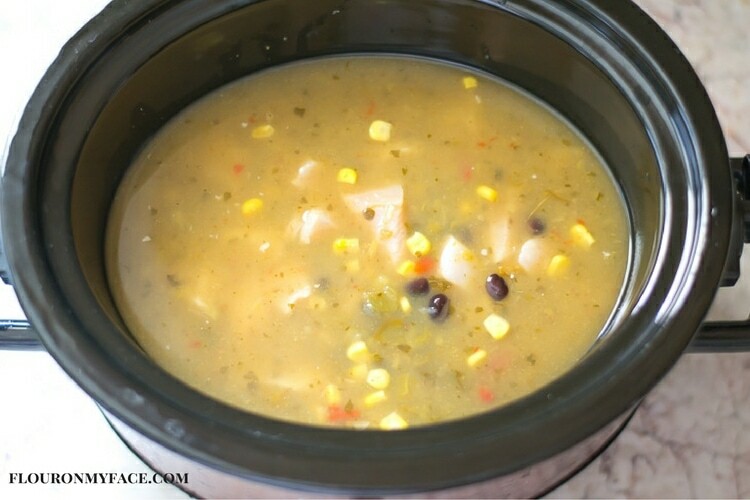 Looking for more crock pot Freezer Meals recipes like this Garlic Lime Chicken Salsa Soup recipe? 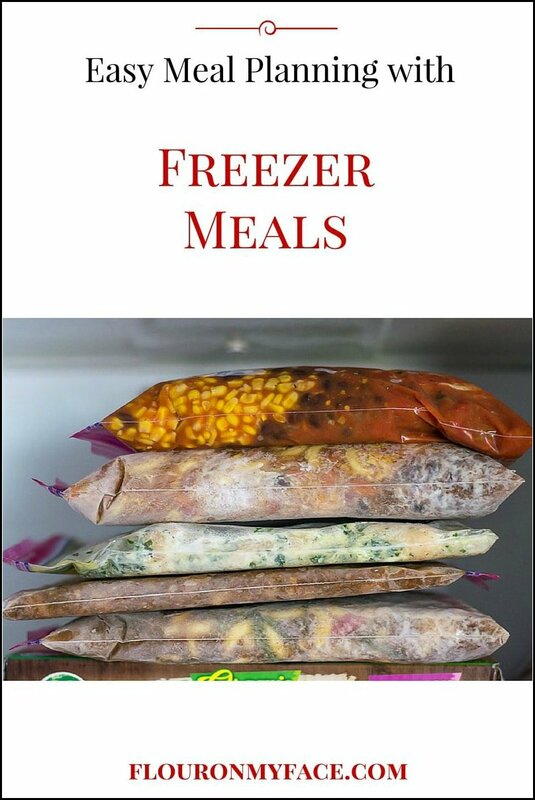 Head over to my Easy Freezer Meals page for more freezer meal recipes. This sounds delicious! Thanks for sharing with Merry Monday! Couldn’t live without my crockpot! This looks wonderful. Thanks for sharing at #HomeMattersParty. Thank you Pam. Enjoy the recipe! I really need to get into freezer meals. Emily they do make getting dinner on the table so easy.